Are You In The Know With Auto Refinancing? For most people, the decision to buy a car can be life changing. Often it goes hand in hand with a bit of fear, stress and excitement. Having an affordable option is a great way to make the entire experience a pleasant one. For many, this can mean taking out a loan. Some financial institutions and car dealerships will try and persuade their customers that they offer the best interest rates on the market; in most cases this couldn’t be further from the truth. Several companies now offer quick and easy loan applications for new and used automobile loans as well as a auto refinancing. Understanding the loan process, and what it all means, can make a big difference in the sentiment of the buyer. Even those who have gone through it all before can benefit from possible refinancing. When an individual takes out a loan they are creating a debt in their name. The lender allows this to happen because they charge the borrower a price, most commonly known as interest. This can be the factor that encourages the borrower to pay back their debt rapidly. However, if the interest rate is too high, the borrower may find they are unable to pay, inevitably having to return their purchase. This latter situation is usually the reason most people don’t want to take out a loan. This is especially true, considering the current instability of the American economy. Nevertheless, taking out a loan can be a truly positive experience when individuals make smart choices and stay within their means. 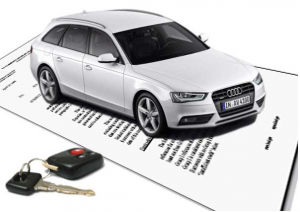 Certain companies like myAutoloan.com have created a scenario in which the potential buyer is presented with a wealth of information to help him or her make a smart and informed decision. Not only do they have a simplified loan application process; but their site is also filled with tools and support to assist the buyer. Among these tools are links to loan calculators and credit report resources. It can be helpful to only take out a loan that is a portion of the cost of the vehicle and pay the rest with money saved. This is one of the ways to lower interest rates. Also, the shorter the period over which the loan is to be re-payed indicates a smaller interest rate as well.